We will be having our Eid Dinner on Saturday, June 16th, at the Masjid after Maghrib inshallah. Everyone is invited to join us. Please inform your friends and family. As the month of Ramadan grows near, we are posting our annual Iftar sponsorship list. As usual, we will be providing Iftar and dinner at the Masjid each night for the entire community. In order to be able to do this, we in need of your support. Please sign up to sponsor a night during the blessed month of Ramadan! This is a great way for us to exponentially increase our reward during such a blessed time. Our goal is to have each night sponsored Inshallah. The cost of sponsoring one night is $850. Click here to see the Iftar List! Please check the Iftar List before signing up to sponsor a night to make sure that someone else has not already sponsored that night. Click here to sponsor an Iftar! This Monday (August 21st) will be a total solar eclipse. We will be experiencing a partial eclipse in our area from approximately 3PM to 4PM. In accordance with the Sunnah of the Prophet SAW, we will be offering the special Eclpise prayers known as Salaatul Kusoof at the Masjid. We will be starting after Dhuhr at 3PM until approximately 4PM. We may not get many opportunities to observe this Sunnah as we may only be able to experience a few solar eclipses during our lifetime. Because of this we encourage everyone to join us tomorrow for this special occasion. 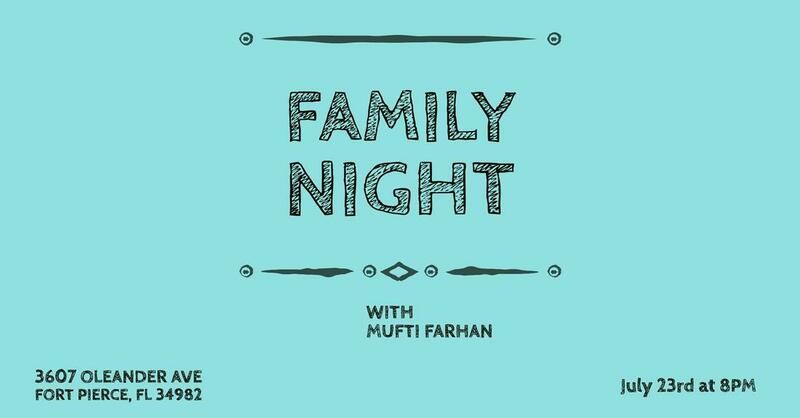 This Sunday (July, 23rd) we will be having our first Family Night program at Masjid Al Muminoon inshallah. We are blessed to have Mufti Farhan from Long Island, NY visit us. The program will start after Maghrib salaah (around 8:30PM). Dinner will be provided. Please bring your friends and family to join us for this amazing event that you do not want to miss. Mufti Farhan was raised in Long Island,New York. He completed his primary education and High School in New York. He pursued his education for 8 years in Islamic studies. In which, he completed a bachelor's degree in Arabic and Islamic Sciences, specializing in hadith studies, and then went on to complete an M.A. in Islamic Theology from the same institute, Jamia Binoria International University, Karachi, Pakistan. Finally, he accomplished a PhD in Islamic Jurisprudence and Law, from the same University. He is also specialized in Islamic Economics and Finance. Currently, he is the Director of Islamic Affairs for Muslims on Long Island, Inc. and the Islamic Center of South Shore, Valley Stream, Long Island. He is also the member of The Board of Jurists, Shariah Board of New York. Member, Zabahia Halal Monitoring Committee, NYC Member, NY Local Task Force for Halal Food Standard Alliance of America (HFSAA) Member, North American Imam Federation (NAIF) Co-founder and President of a Non-for-Profit org. for youths, Bani Adam aka. Children of Adam. The class will be taught by Brother Hassan. We are looking for more volunteers to help with teaching from the brothers and sisters. If you are interested, please reach out to Brother Hassan. Please join our listserv and follow us on Facebook to stay up to date with future events and activities. We have started a daily Tafseer class every day after Fajr (currently 5:45AM, updated times are on the home page) at the Masjid. Everyone is encouraged to join us and benefit. The class is also being live streamed and recorded on the Masjid Facebook page, so if you are unable to come then you may watch online. However, if you are able to come then it is better to attend the class in the Masjid. You can view the recorded classes by clicking here, or going to our Facebook page. Please share so that more people can benefit inshallah. 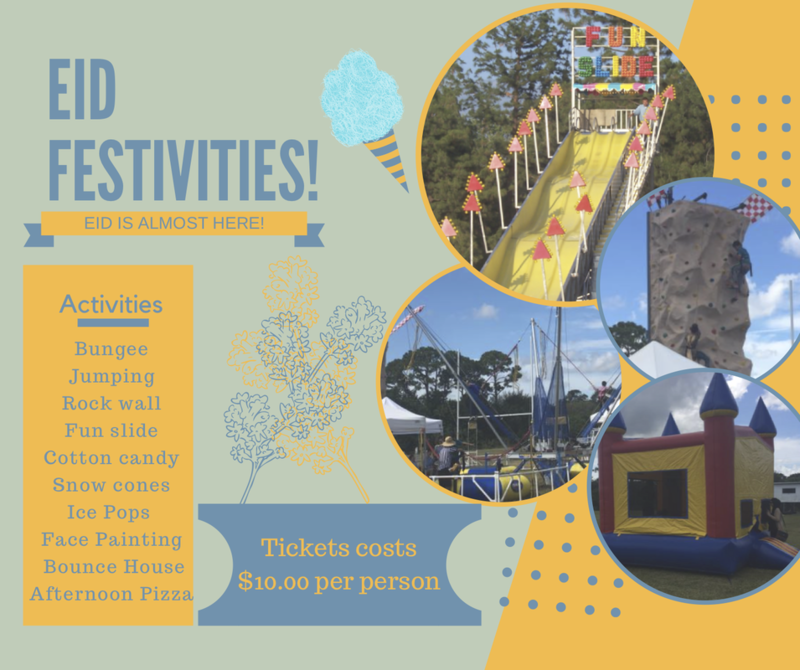 Eid Al Fitr will be Sunday, June 25th. 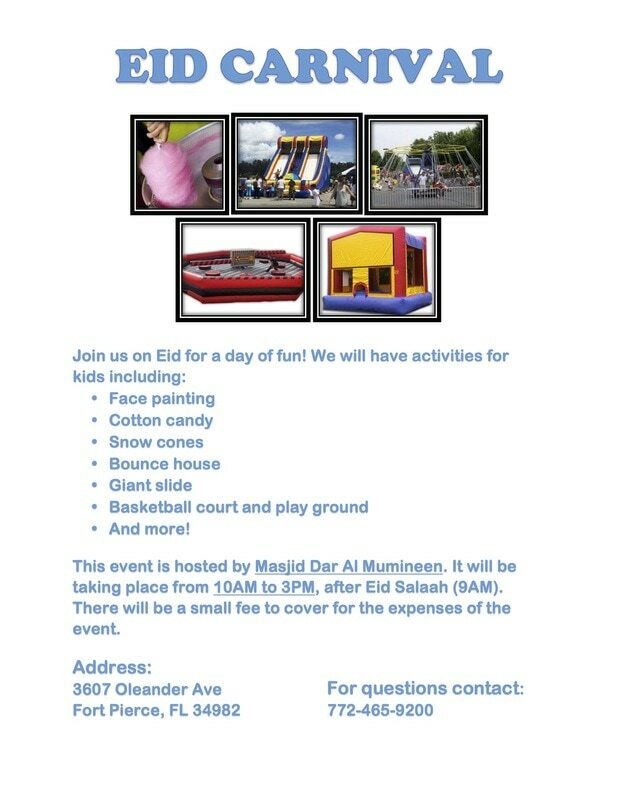 Below is information for Eid day. Remember to pay your Sadaqah-Al-Fitr before Eid Prayer (preferably before Eid Day). Sadaqah-Al-Fitr is $8 per person in your family. We have a collection box in the Masjid. 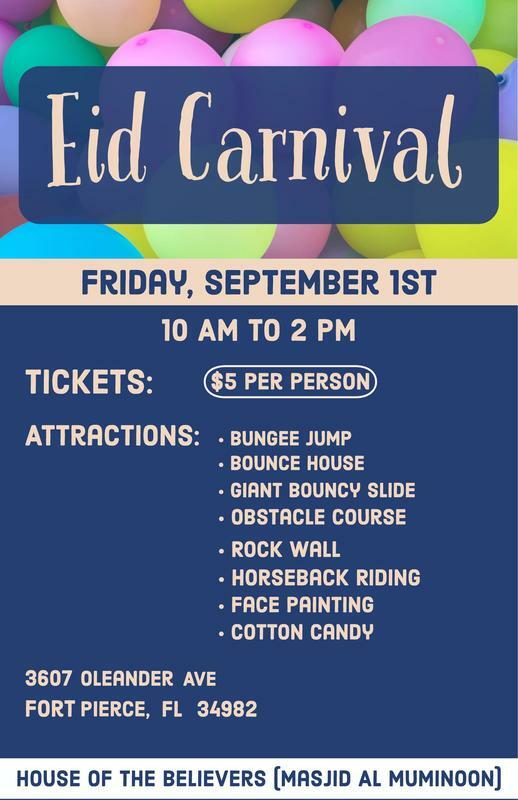 Face painting, mega swing, bounce house, cotton candy, snow cones, sports, and more!